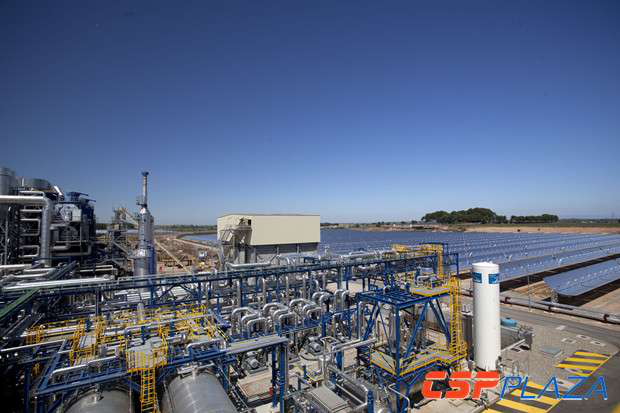 In view of the fact that CSP still faces the problems of high investment cost and high cost of electricity, the development mode of “CSP+” seems a good choice for building new plants. 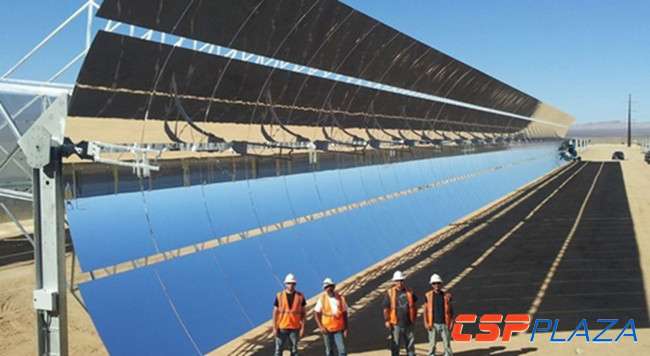 In theory, “sparks” could be generated between the four main technical routes of CSP, CSP and traditional thermal power, CSP and other renewable energy, achieving the desired effect of complementarity and win-win. Parabolic trough + tower technology can combine the maturity of parabolic trough and the efficiency of tower, and improve the overall energy storage capacity of the project and reduce energy storage costs. 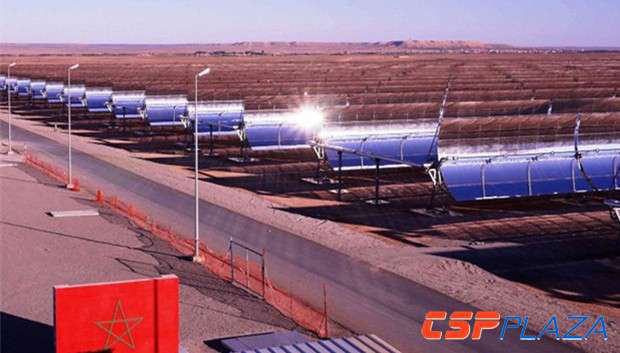 This hybrid system can produce higher temperature steam at a lower cost than conventional CSP systems. 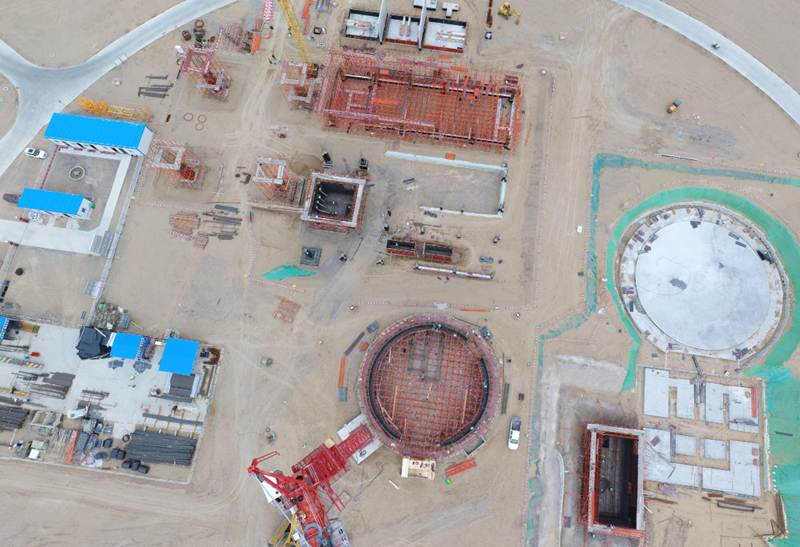 Although there are no large-scale commercialization projects in the above two development models, with the continuous development of dish-type CSP technology, these two development models are worth looking forward to in the future. Representative projects: Ashalim Solar Complex, Noor Midelt, Cerro Dominador, Noor Ouarzazate Solar Complex, etc. 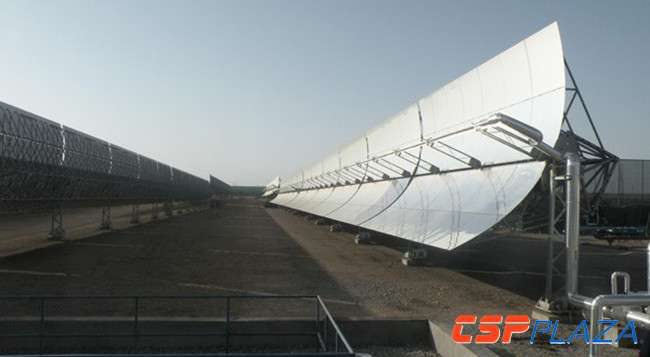 There are many cases in which CSP + PV development model is adopted. This model can provide human beings with stable green energy while realizing relatively efficient and economical use of solar energy resources. 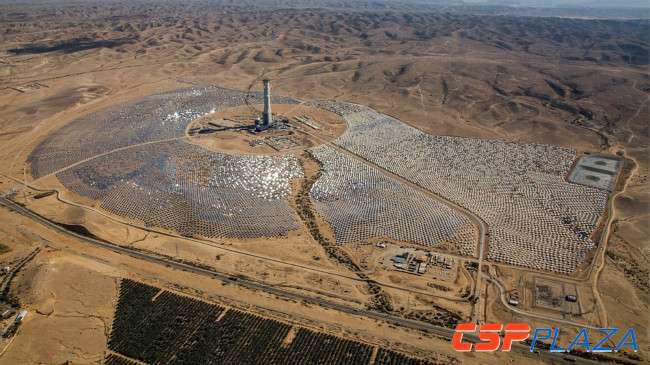 During CPC2018(China International CSP Station Conference 2018), Adil Bouabdallah from masen presented that Masen believes that the combination of CSP and PV will be the direction of solar energy’s future development. Through different proportions of configuration, there are 3 combined modes: CSP＞PV(CSP running day and night), CSP＝PV(CSP running all night and part time of day), CSP＜PV(CSP running only at night). 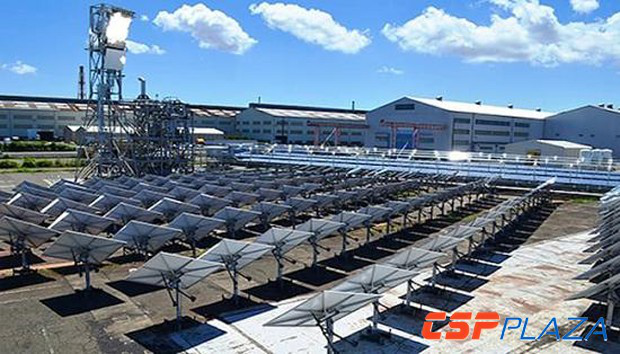 In such projects, CSP often uses its excellent peak-shaving capability to play a supporting role, but with the development of CSP technology, it is expected to continuously increase its proportion. 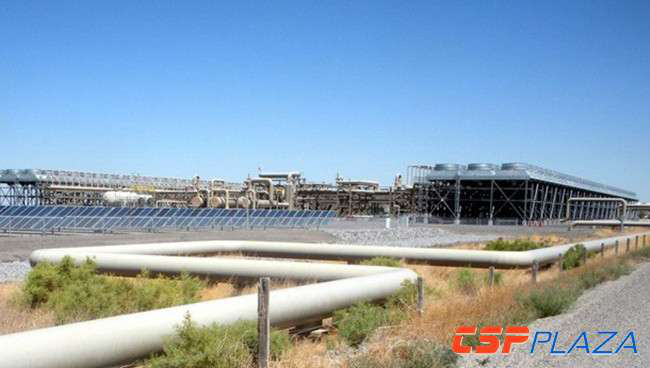 The Luneng Haixi 700MWmulti-energy complementary project is designed by China Northwest Electric Power Design Institute. 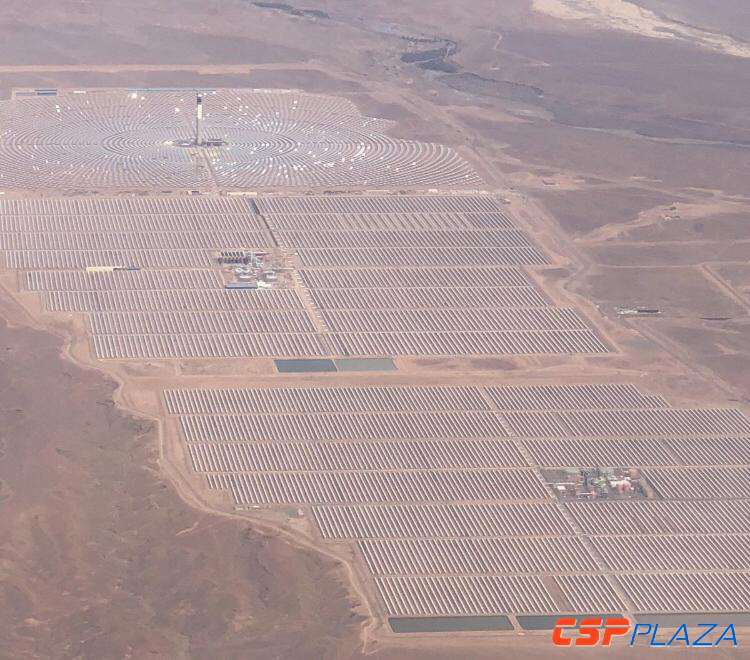 It is located in Golmud City, Haixi Prefecture, Qinghai Province, with a total installed capacity of 700 MW, including 400 MW of wind power,200 MW of PV , 50 MW of CSP and 50 MW of energy storage. The investment in power plants with hybrid power generation of solar energy and gas is higher than that of conventional gas power plants of the same power, but far lower than that of pure solar thermal power stations. At the same time, this hybrid power station has obvious advantages in terms of carbon dioxide emission reduction.